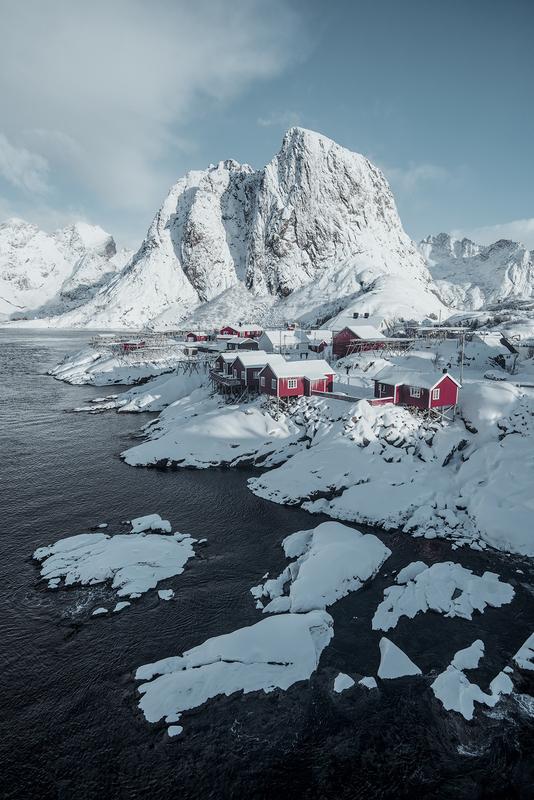 Join us as we take on the Lofoten Islands dressed in white. 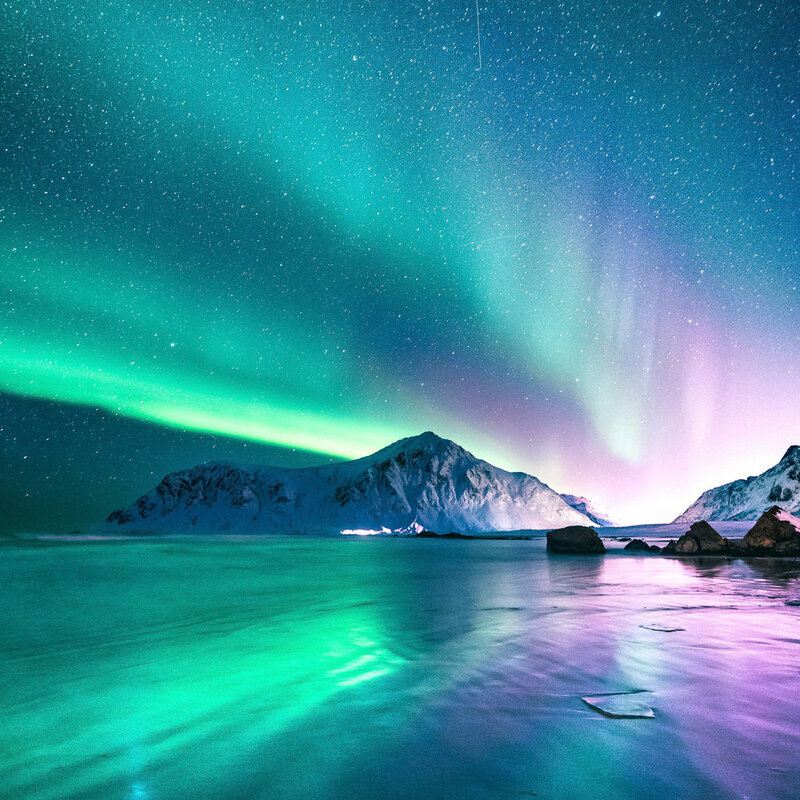 The sun is returning to Northern Norway at this time, so we will make sure you get plenty of chances to capture beautiful light both during the day and also at night. 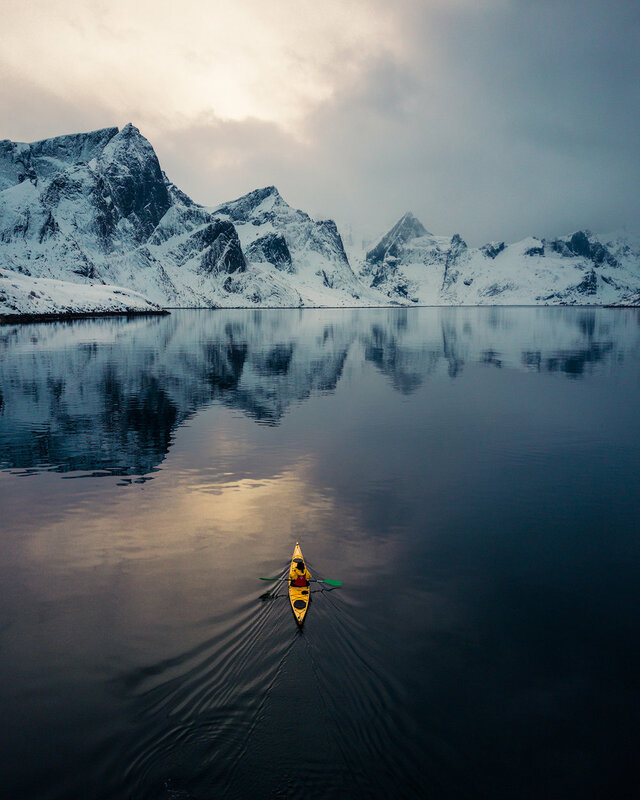 Join the famous instagrammers @eventyr and @earthfocus to Lofoten. You will be in the hands of a local professional, Even Tryggstrand and the social entrepreneur, James Llouyd Cole, Their combined knowledge of photography and local locations will make sure you leave this workshop with a higher sense of how to compose your images for social media impact! 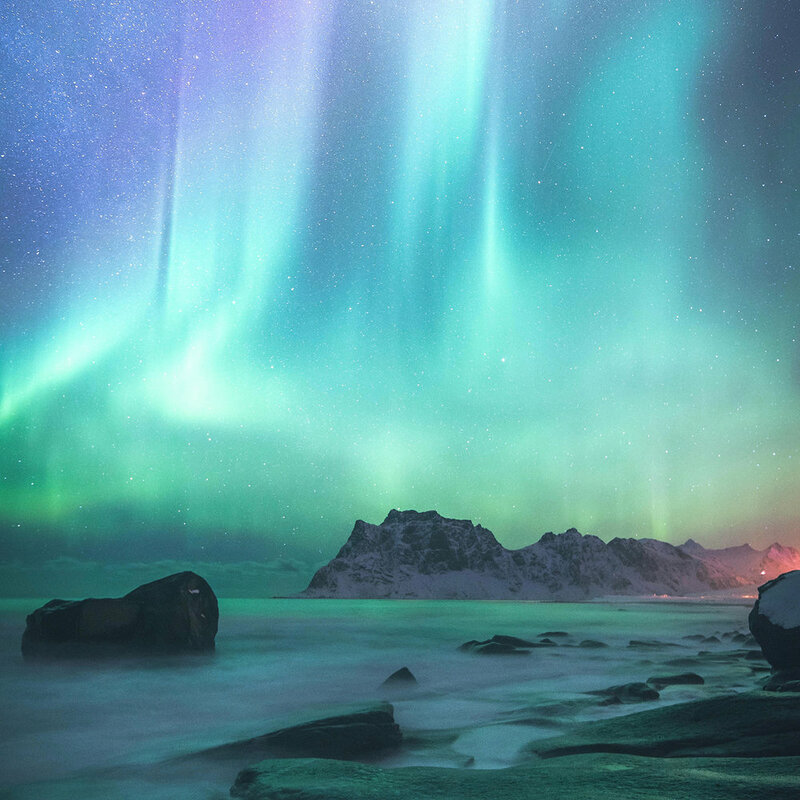 During this week long tour, the Lofoten Islands will be covered in snow from top to bottom and the moon will be very near new - giving us the best possible chance to witness the amazing aurora borealis. We will spend these days exploring the many world-class locations the region has to offer. We are lodging in the heart of Lofoten - giving us access to the amazing locations with ease. We will pick you up at Evenes Airport and take you and the rest of the eager photographers to the Lofoten Islands, where we will start off with a proper meal and a meet & greet. At this point, you will get to know us a bit better as well as the other participants. 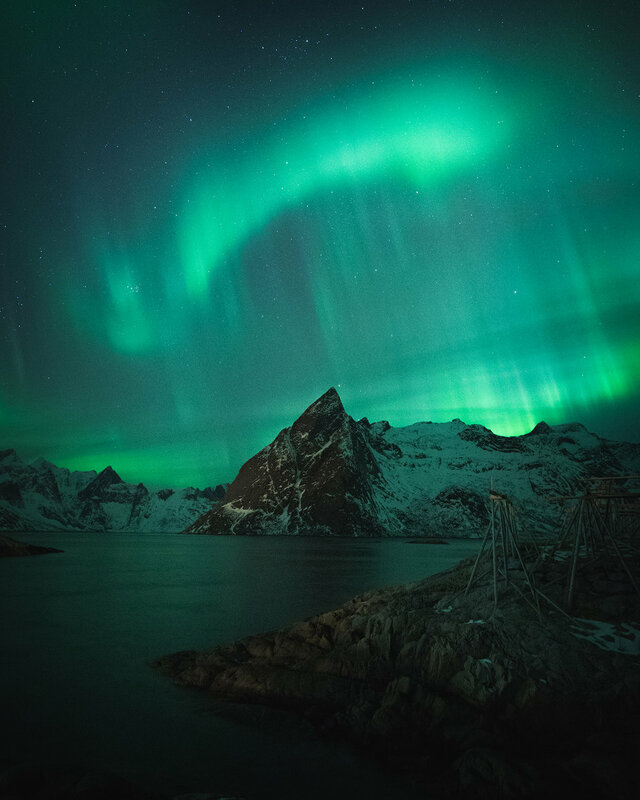 During this week you will get courses in night photography specifically oriented towards capturing the northern lights aka the aurora borealis. You will be taken too amazing places in time for the good light and when you are not out shooting, Even and James will teach you how they use Adobe Lightroom to produce the images they envisioned from the day. Transport from and to Harstad/Narvik Airport Evenes (EVE), accommodation or the duration of the workshop, photography guiding both in the field and also post-processing session. Meals are not included, but there will be plenty of opportunities to buy groceries and prepared meals during this workshop. We will make sure of that. Also not included are any private insurances and any costs required to travel to and from Harstad/Narvik Airport Evenes (EVE) from to to your home location. 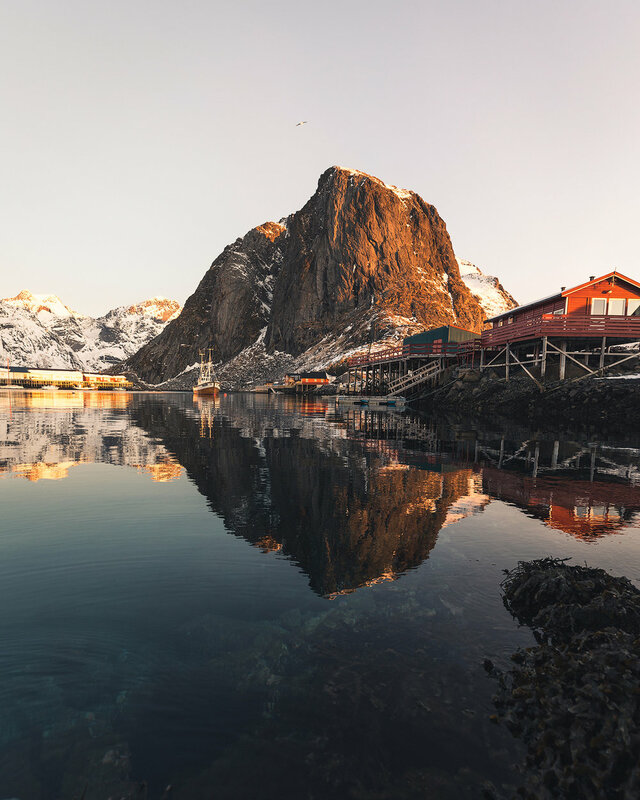 - Lofoten Islands will be at its peak of winter at this time and temperatures will most likely be cold. The weather can change very fast, so proper winter clothing is necessary. Being able to protect ourselves from the elements is key to a successful workshop. A good set of base layers, mid-layers for warmth such as fleece and down. A shell jacketand quick-dry hiking pants will help to protect against the elements as well. Good snow bootsor insulated hiking boots are advised. Having a warm hat and gloves is essential. A face cover, such as a balaclava, may also help you to be more comfortable in windy conditions. Payment: €2890 Based on double occupancy. You will be sharing the room with someone of your gender, unless anything else is agreed upon. Single room is €500 extra. Arrival: Harstad/Narvik Airport, Evenes (EVE). March 1st, no later than 11am. Departure: Harstad/Narvik Airport, Evenes (EVE). March 8th, after 11am.